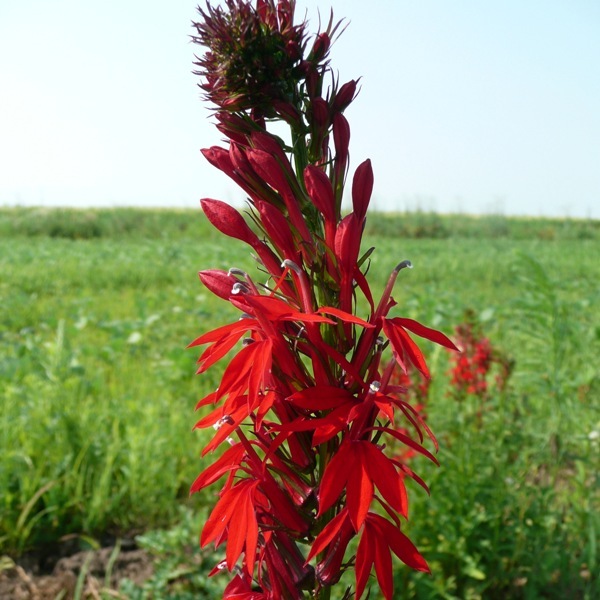 The Cardinal flower gets its name from its flowers which can be as Red as a Cardinal. 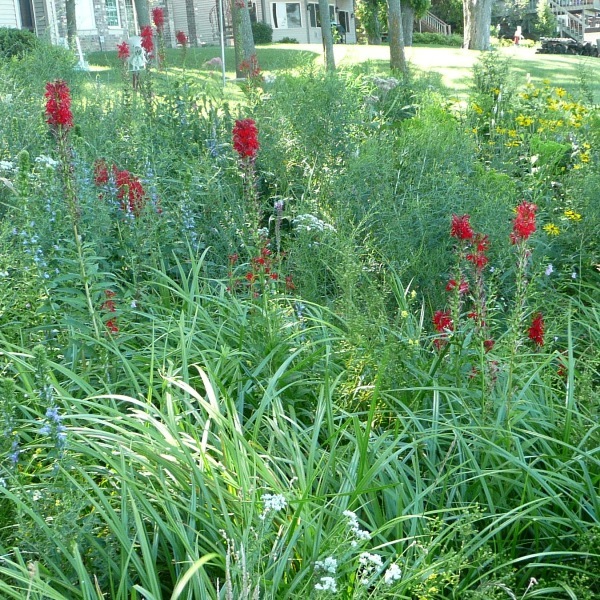 These distinct red spires of these stunning flowers make the popular in rain gardens and bird & butterfly gardens, but can also be valuable in shorelines and waters edges. The Cardinal flower depends on hummingbirds for pollinations.